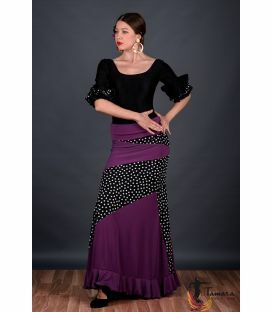 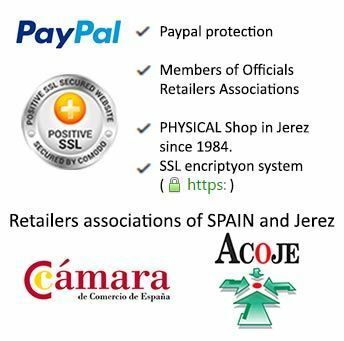 The flamenco skirt Almeria with polka dots is one of the most commonly used models. 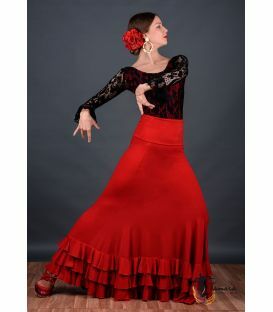 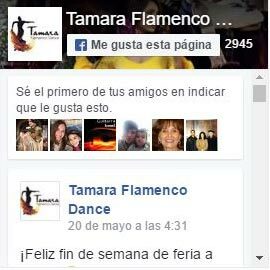 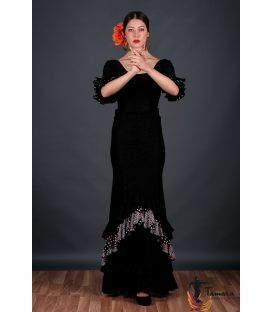 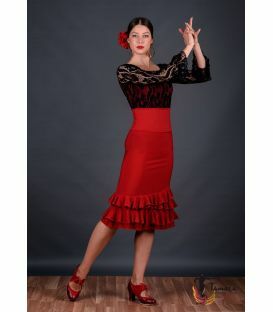 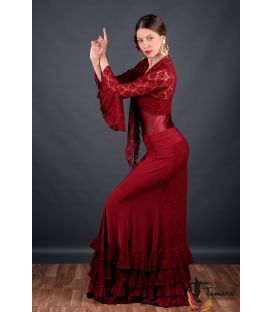 It is both skirt and dress, so it fits very well into the basics of flamenco costumes. 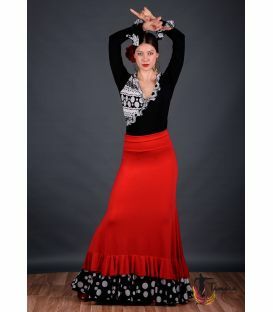 It consists of a sash at the top, which can be folded and adjusted in the hip area or put unfolded as a dress, and the underside with wide flight and a wedge of flounces with polka dots pattern on the back. 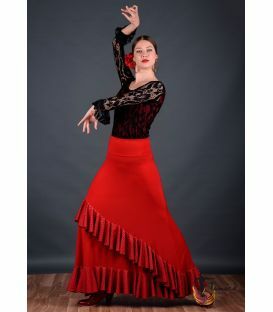 As we have already mentioned, this model is recommended for all ages and academies, since the shape is ideal for rehearsals. 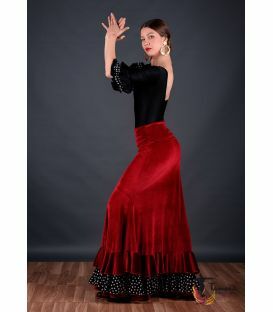 The flamenco touch of the polka dots gives it an original design that makes it a great choice for flamenco dance shows. 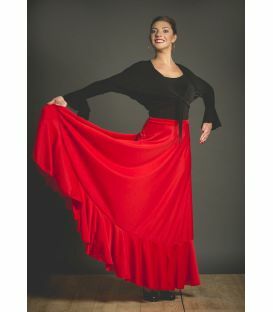 Measure your waist and choose the size that most closely match you. 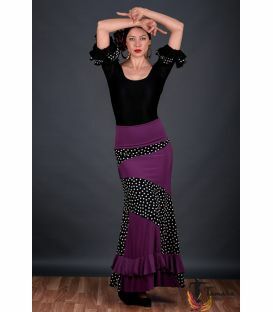 The waist is elastic to fit. 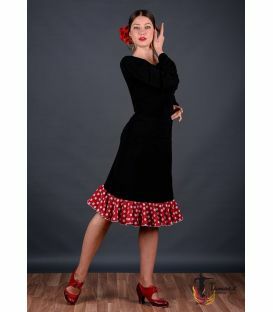 So for example, size M (77 cm) adapts perfectly to waists from 75-79 cm.